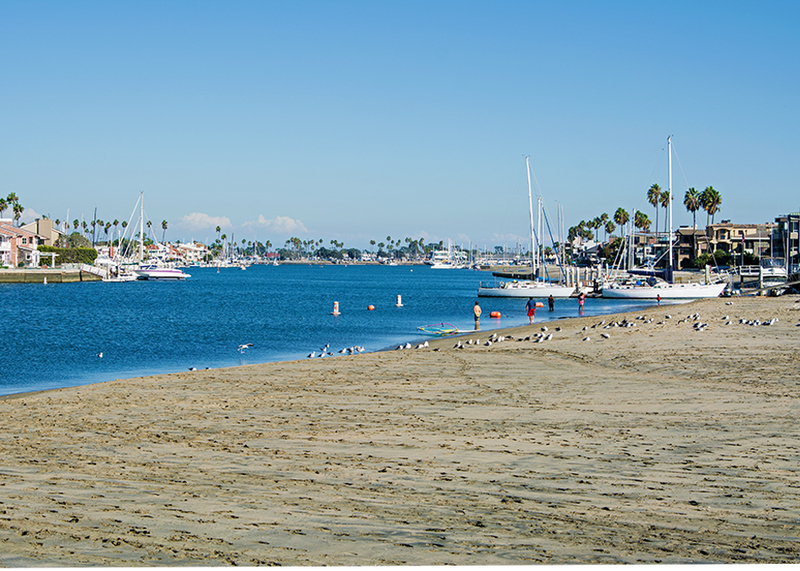 Recently my family and I wanted to take a long weekend and stay along the coast or on a harbor somewhere in Southern California. I suggested one of my favorite places and it was decided we would find a hotel nearby. 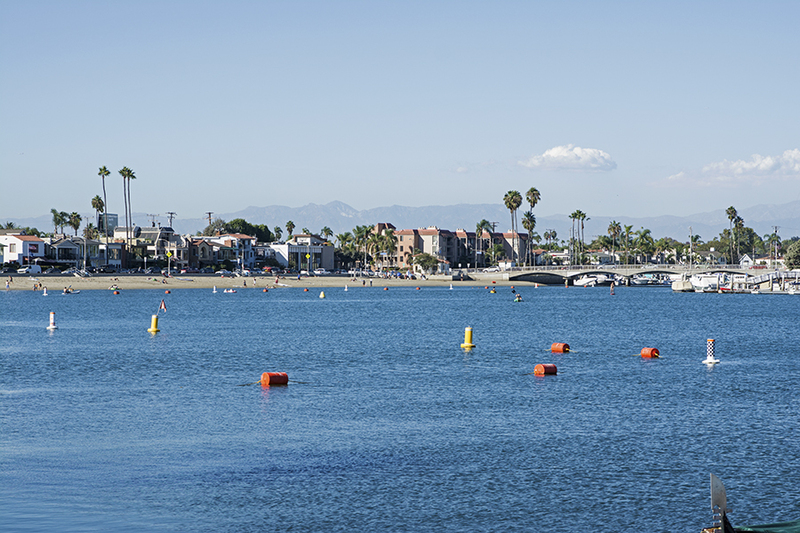 The two places were Marina Del Rey in Los Angeles County or Alamitos Bay near Long Beach. 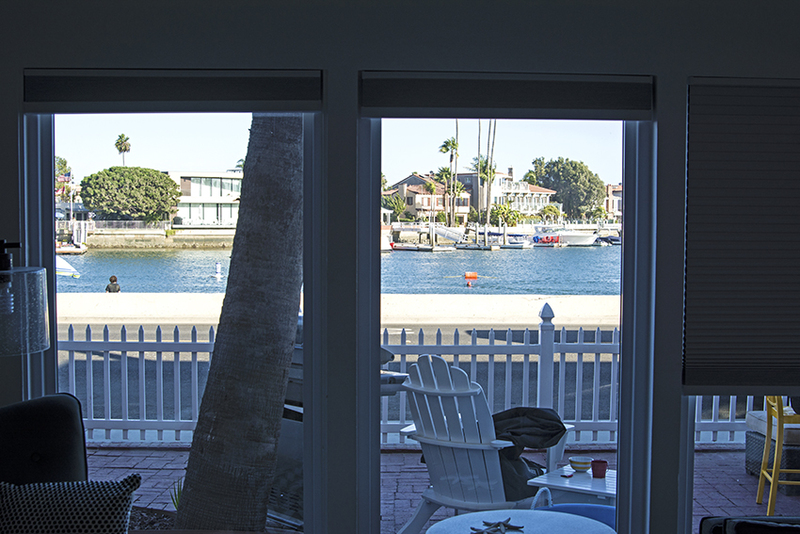 Our goal was to have a patio or balcony overlooking a harbor so we can relax and enjoy family time. We found some hotels that met our requirements and one seemed perfect except they wouldn’t let us reserve a balcony room. It wasn’t guaranteed even though we would be paying and reserving it well over a couple months in advance. Someone suggested Airbnb. I had never heard of Airbnb until about a year ago so I wasn’t familiar with the process. Basically, it’s an online marketplace where you can rent vacation homes, condos, and apartments for a designated amount of time. In some cases you can rent a room from a house while the person resides there. Some people on budgets prefer this when traveling to cut back on hotel fees. There are over a million listings on Airbnb and in 191 countries as of this date. 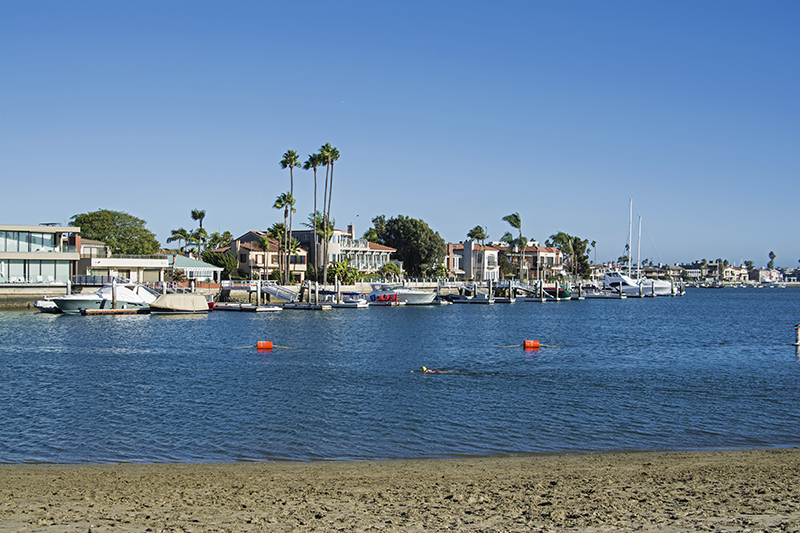 We decided to try it out and found a listing for a cute little cottage that was right next to the water near Naples Canals in Alamitos Bay. The accommodations looked perfect judging by the photos on the web page and its catchy title, “Just Beachy on the Bay.” It was a one room lower level apartment with lots of windows, cozy furnishing, and a reasonable price for three nights. It had exactly what we wanted which included a large brick patio in front with a barbecue and plenty of space for lounging around and socializing. Beyond the patio was a small street which you crossed to get to the beach. The day we arrived, I was apprehensive thinking that the place wasn’t going to look like it did in the photos. However, much to my surprise it was better than the photos! It was precisely what we had hoped for with huge windows looking out to the bay, comfortable furnishing, a kitchen, nice sized bathroom, and of course the beachy decor as promised on the home page. We knew ahead of time that cars would be parking on the street so it wasn’t a surprise that our view was slightly impeded by the parked cars. One of them was my car so I didn’t mind. The beach was a popular place for families and swimmers because there were no waves, plenty of sand, and a roped off swimming area. We were experiencing exceptionally hot weather for this first day in October so I took a few dips in the swimming area myself. The water temperature had a bite to it but it WAS still very refreshing! 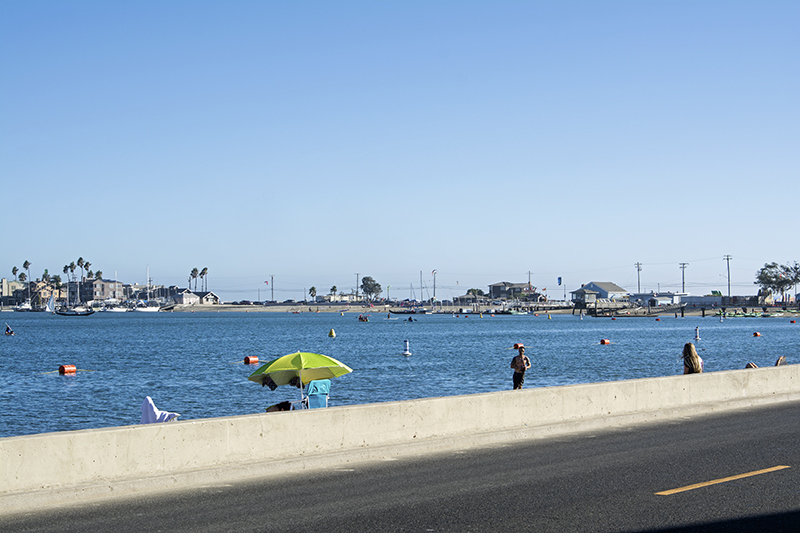 The beach stretched out for a few miles along the bay and spanned in front of the homes on the west side. Every type of water vehicle could be seen from our vantage point. 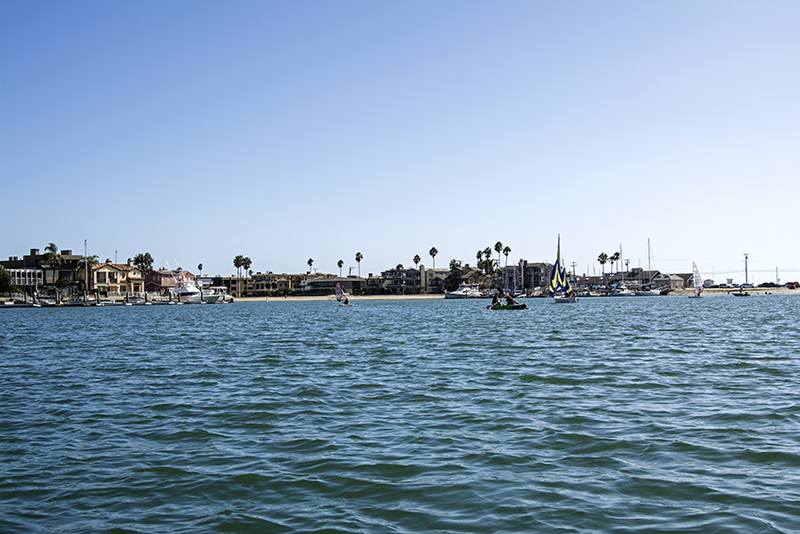 Sailboats drifted by along side kayaks, paddle boards, and even outriggers. There were also Duffys, motor boats, and anything else that you could think of that float. 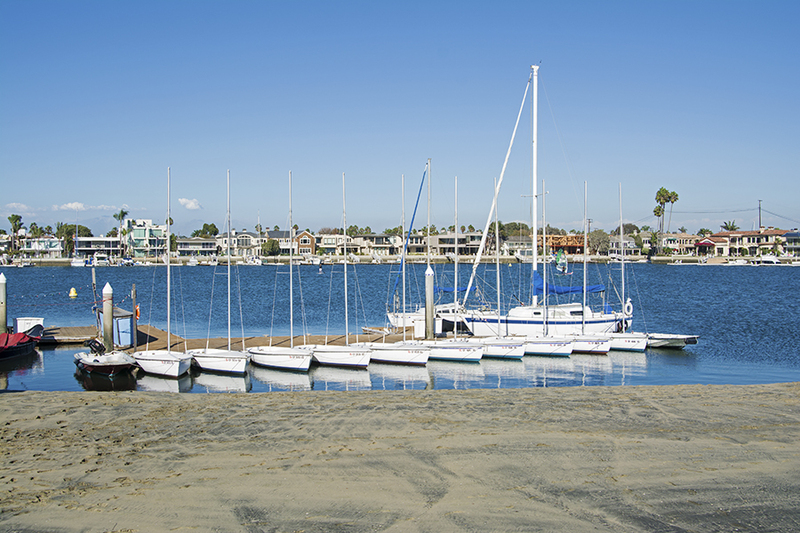 Our little paradise of a brick patio was the perfect spot to watch all of the activity on the bay! As a bonus, three bicycles were available for us to use at any time during our stay. 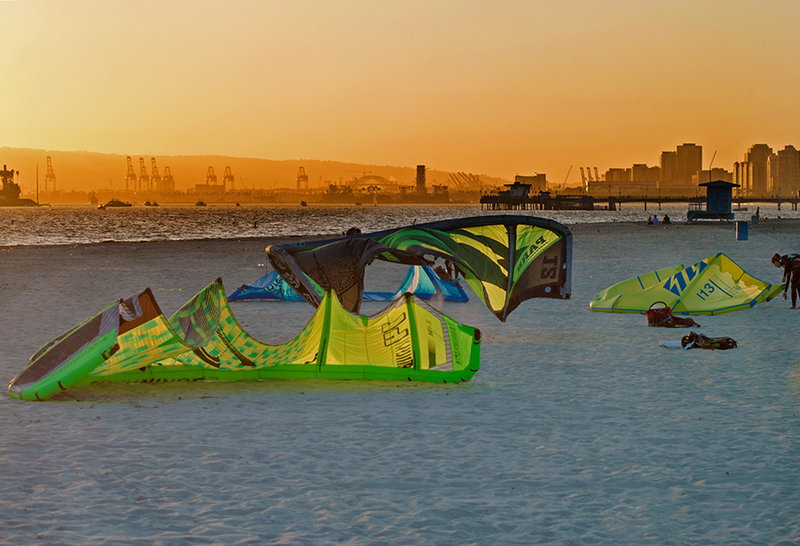 We took full advantage of this by taking a ride ever day to explore the area. One day we rode on the boardwalk in front of the amazing bay front homes, while the next day we peddled over to the ocean to visit the local pier and watch the sunset. 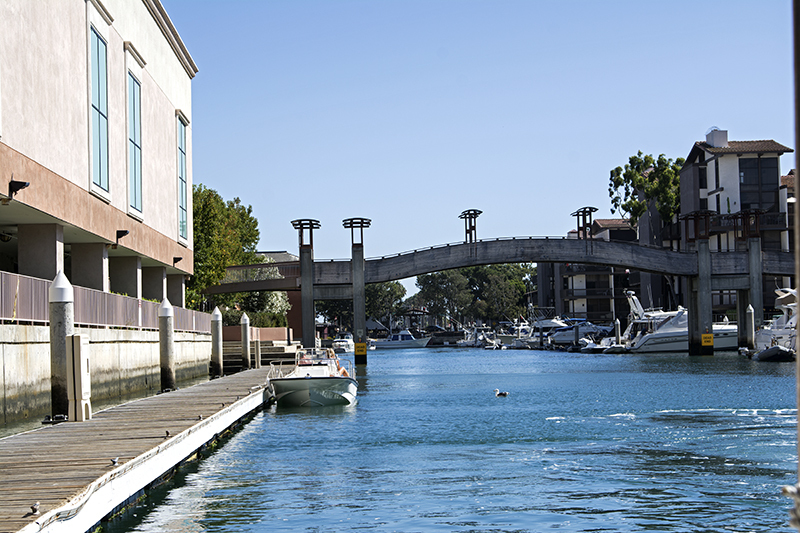 Only a half block away, Second Street is an eclectic mix of restaurants, bars, and activity. Having a kitchen available saved money on food but it is nice to have the option to dine out at someplace that is within a short walking distance. No need to even get in your car, everything was there. We did have to get in the car once to drive across the bay to rent a Duffy. 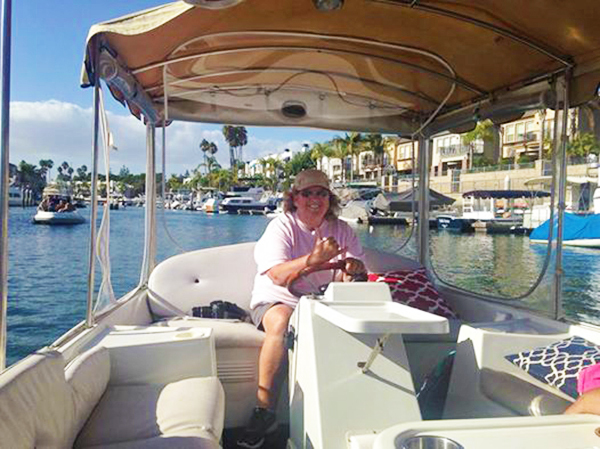 For those of you who don’t know, a Duffy is an electric boat that has a canopy, table, and plenty of seating. The Duffy was a little oversized for just the three of us but we didn’t care as we happily rented it for two hours to explore the nooks and crannies of this wonderful harbor. Where we rented the Duffy, off we go! Ten minutes into the trip we could hardly wait as we turned into the Naples Canals. The area of Naples is built on three islands which are divided by canals that can be accessed from the main bay or bridges for cars and pedestrians. The canals on this hot day were full of life. 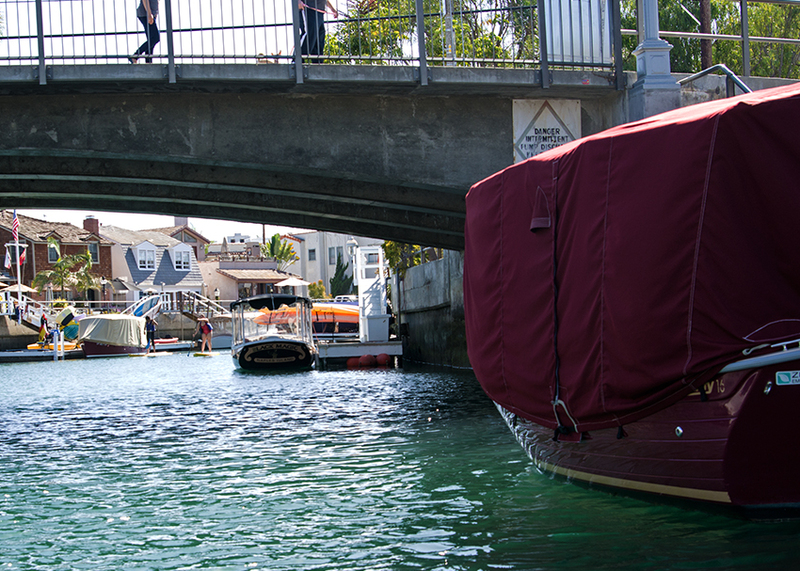 Kids played in the water, kayaks or stand up paddle boards glided by, and later when the sun departs, all you will hear is the gentle lapping of a gondoliers oar as he expertly guides his passengers through the peaceful passages. The Naples neighborhood looks like any other affluent neighborhood except instead of a street you have a canal. The canals are clean and the water is a beautiful tint. Each home is unique and during the holidays at least 85 percent of the residents decorate their homes, yards, and docks. As our Duffy slowly departed the canals, we headed over to the main harbor entrance where larger boats were making their way in for the day. 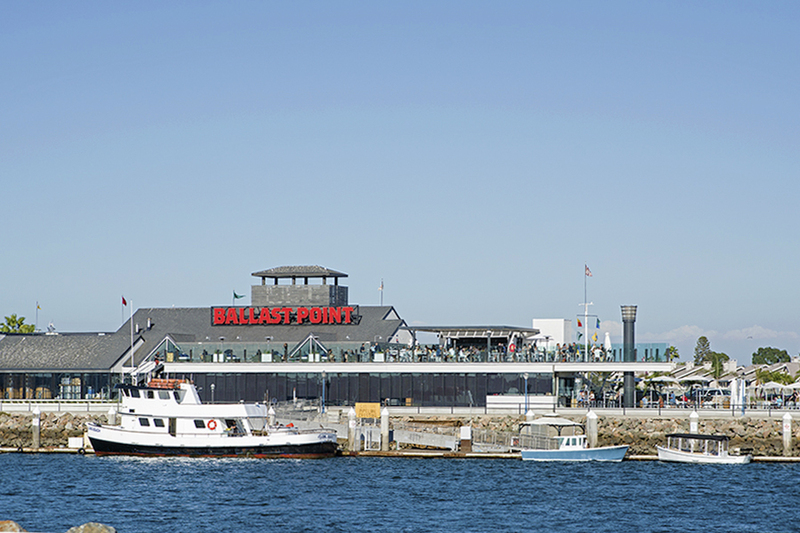 Near the entrance, the Ballast Point Brewery offers a one-eighty degree view of the bay as its patrons enjoy the sunny weather and of course a nice cold glass of brew. 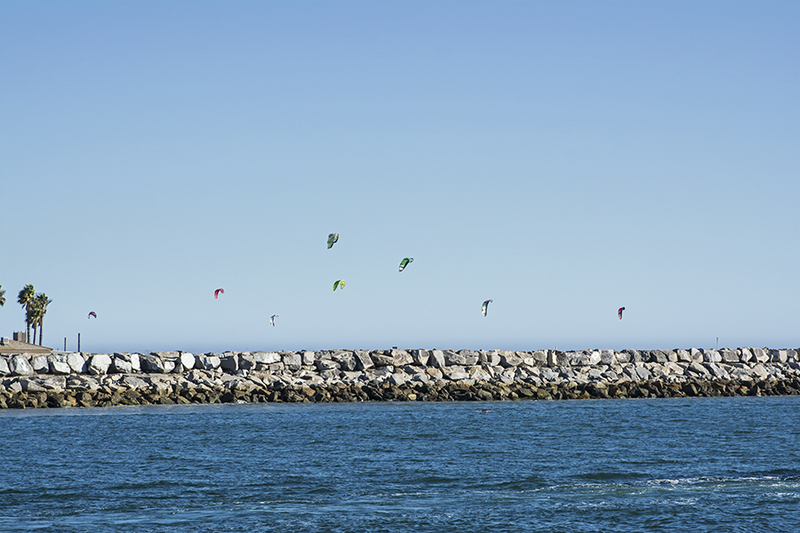 The Harbor entrance jetty with kite surfers in the background. After seeing most of the harbor we cut into some channels off the beaten path. 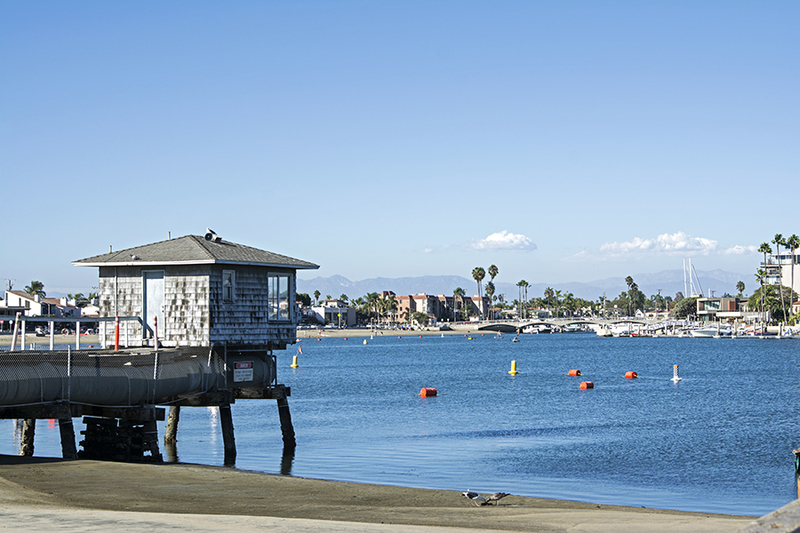 One area was at least fifteen degrees warmer as the homes were tucked away from the cool breezes coming off of the ocean. Homes and condos lined the water front and we all agreed that we could live in any of them. Even though our Duffy seemed slower than normal, we easily saw the entire harbor in our allotted two hour time frame. Because we loved it there so much, we didn’t want it to end. 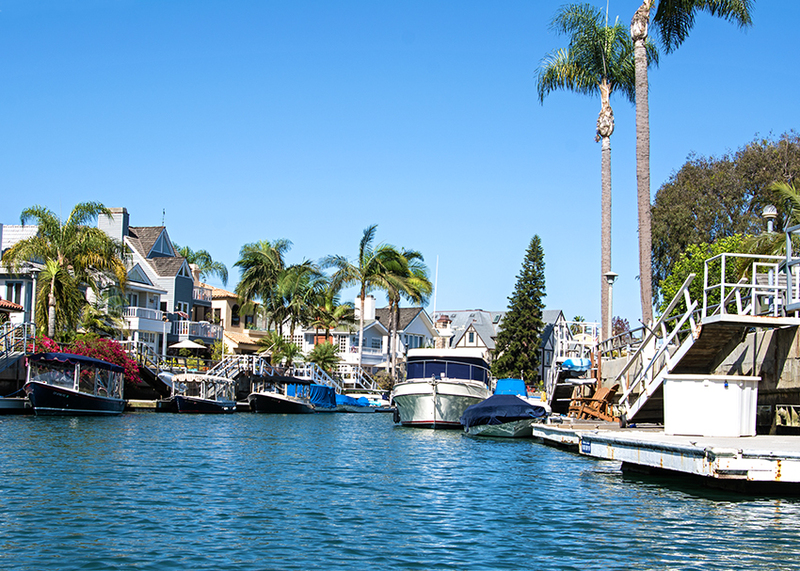 We all decided that we liked it as much as our beloved Newport Harbor or even more. After our day in the bay, we relaxed a little before heading over to the ocean to watch the sunset again. Check-out was the next day at noon so there was plenty of time in the morning for one last walk on the beach. This time the water was empty and the beach was quiet. Everyone was back in school or at work. Time to say goodbye to our little beach cottage which was actually an apartment but it didn’t feel that way to us. 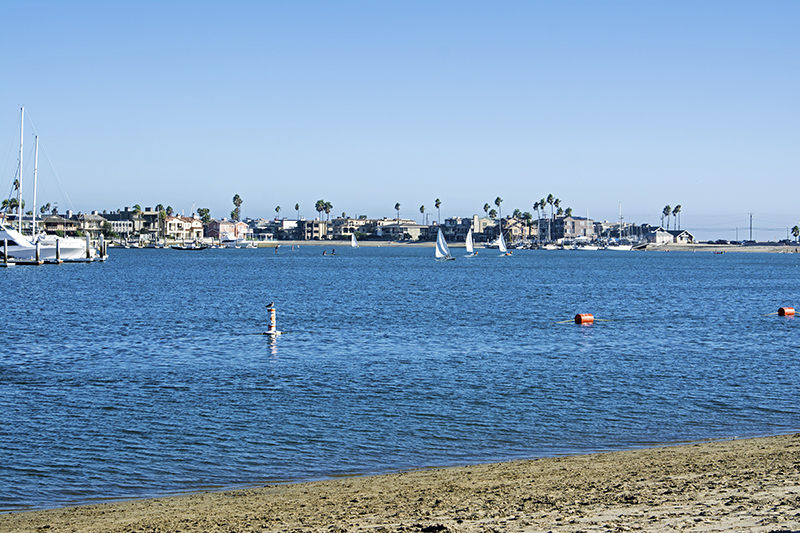 It was nice hanging with family and I will definitely be back, maybe during the holidays where Alamitos Bay does it up nice. I almost hate giving the info out because I selfishly want it available when I go again. 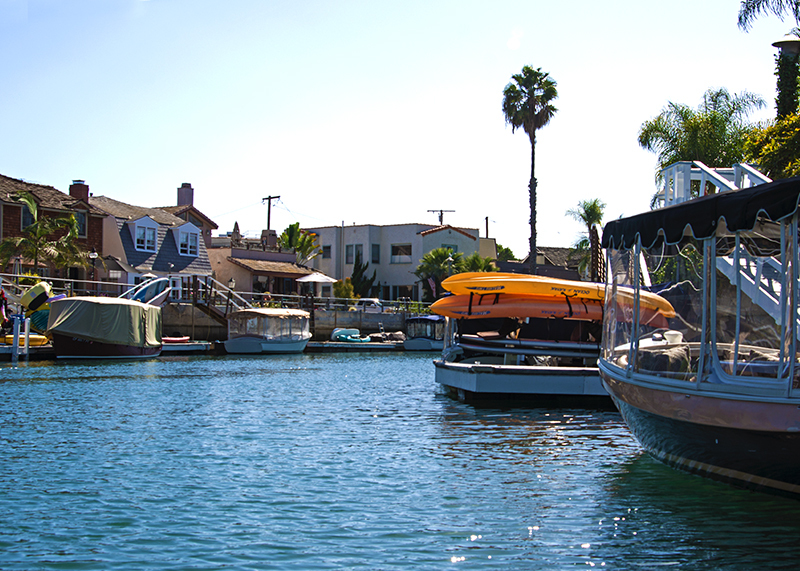 Anyway, rent an Airbnb or visit Alamitos Bay, either way, you will enjoy yourself. Also, I still do love hotels when traveling but for the needs of this trip, we got what we wanted and enjoyed every bit of our stay. Less than a minute trip through a part of the canal.